In this blog series, we’ve been focused on showing a wide range of examples of point-of-purchase wood displays that we hope will provide inspiration for your next POP display project. 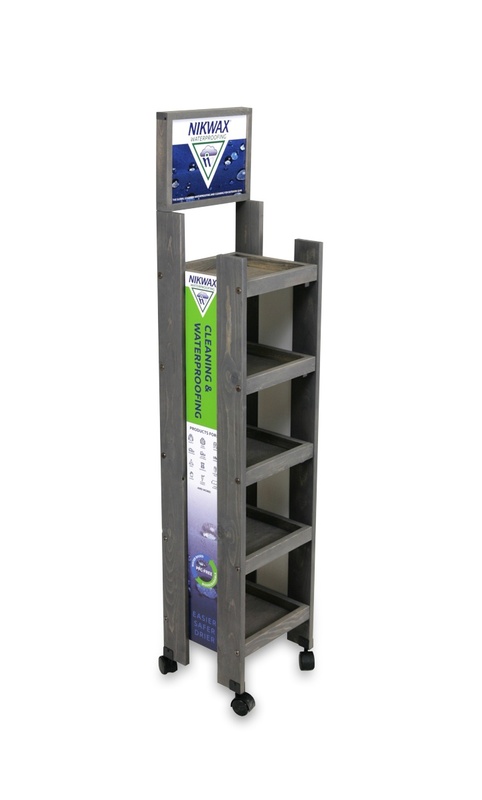 Our original intent was to share just 10 examples; however, given the positive feedback we received on the first two parts of our blog series, we decided to continue the series with an additional 11 examples of retail wood displays. If you missed Part I of the series you can check it out here, and be sure to check out Part II here. 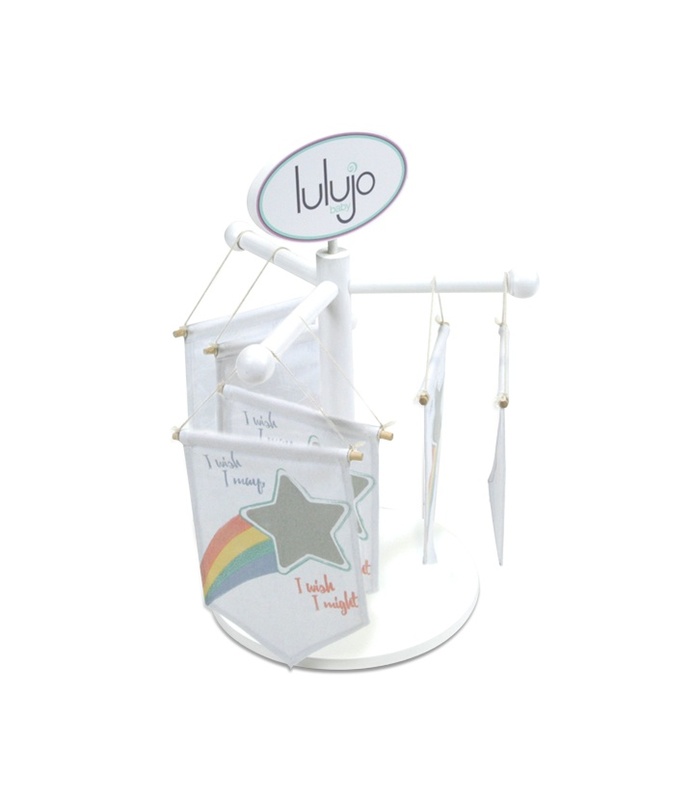 Our first example is a simple 3-arm counter display we made for Lulujo. We constructed this display using a solid pine circular base, pine dowels for the center post and arms, decorative round balls, and a removable solid pine oval header with a thin digitally printed PVC header graphic. We painted the display white to fit with our customer’s line of baby products. We get a lot of requests for logo blocks and have made many different varieties over the years. 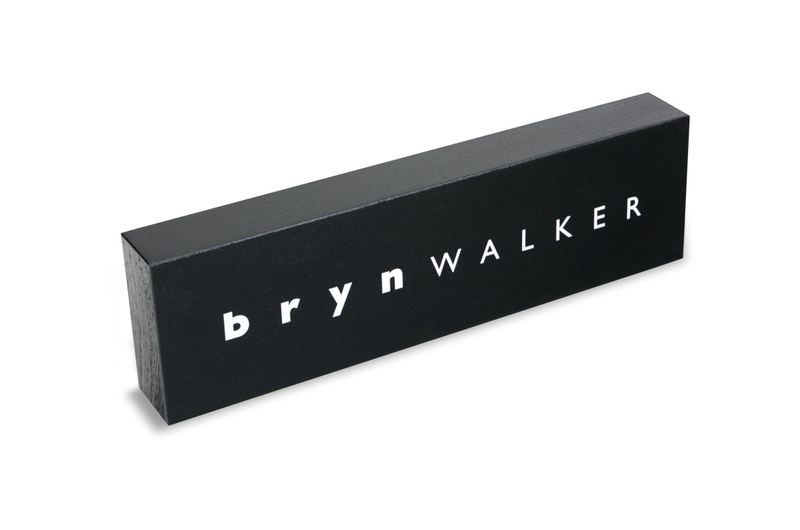 The picture shown below is one we made for Bryn Walker. It is made using MDF and features a black lacquer, high gloss finish with a white screen-printed logo. If you are interested in other logo block examples, you can refer to one of our past posts in which we show over 20 examples of different logo block treatments. You can check it out here. 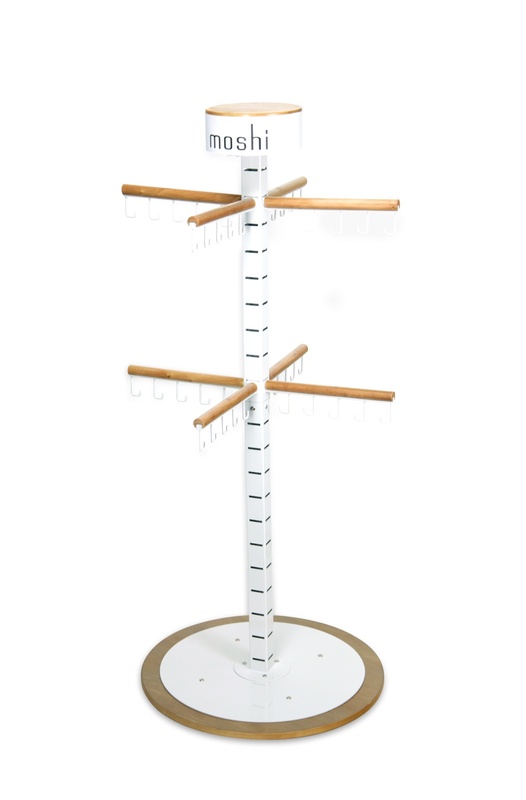 The Moshi display shown below is an example of how metal and wood can be combined to create a practical and attractive display. We used a slotted metal center post, a circular sheet metal base plate and metal J hooks. We combined those metal parts with a solid wood base, wood arm dowels, and a circular wood header with a 360-degree graphic wrap. 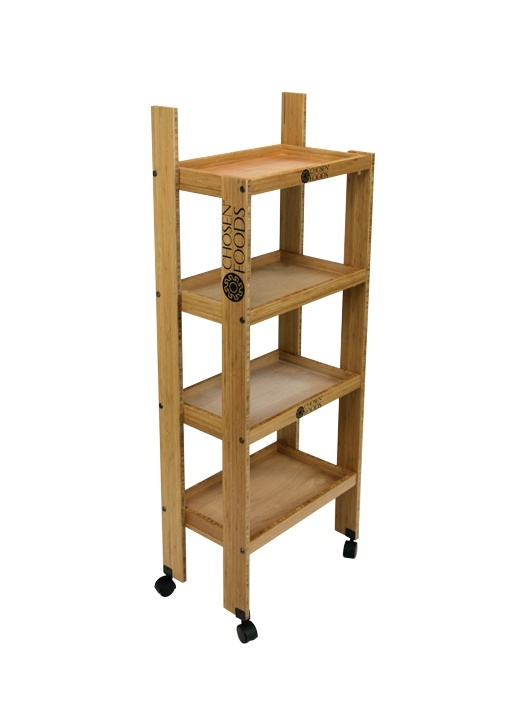 Our fourth example, is a small bamboo 2-tiered countertop display that we made using carbonized 3-ply edge grain bamboo. We let our CNC machining center do most of the work on this display. 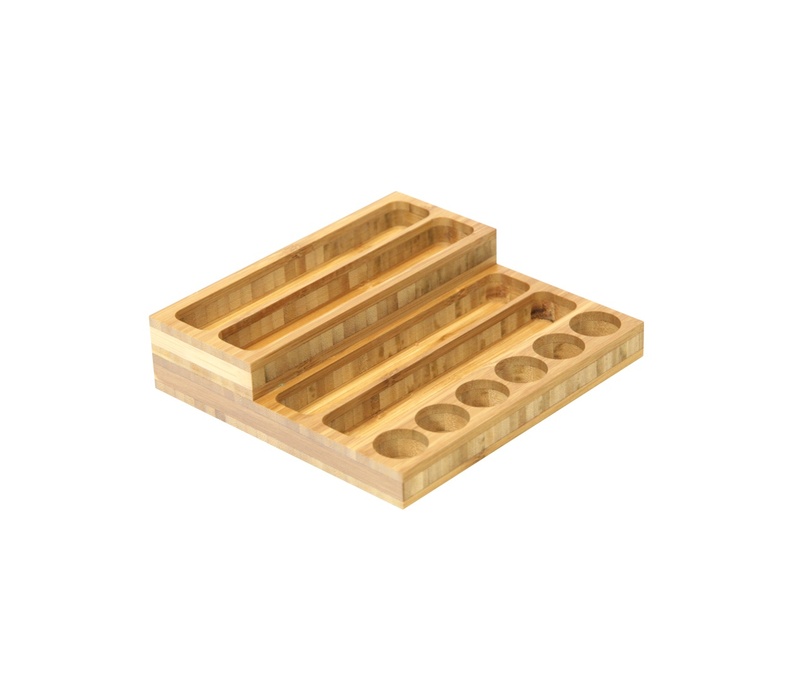 It features 6 circular product tester holes for lip balm and then 4 rows for boxed product. We finished the display with a simple clear coat. It is easy to add branding to this display by laser engraving a logo on the front lip or by printing a header sign to serve as a back panel. 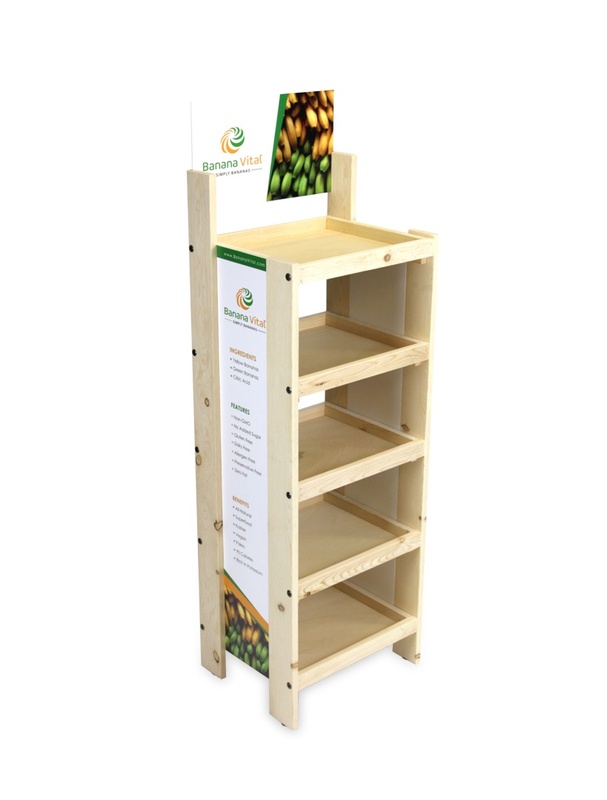 Fifth, the 5-shelf floor display shown below is a very cost-effective and universal merchandiser that we created for Banana Vital. Constructed using solid pine and pine plywood, we dressed up this knock-down display using digitally printed PVC header and side signs. Our 6th example is very similar to the display shown above in its construction, but for the Chosen Foods display shown below we wanted to create a more premium look so we used carbonized bamboo which we clear coated and screen-printed with our customer’s branding on the sides and two of the shelf fronts. We also added casters to this display to make it easy to move around. 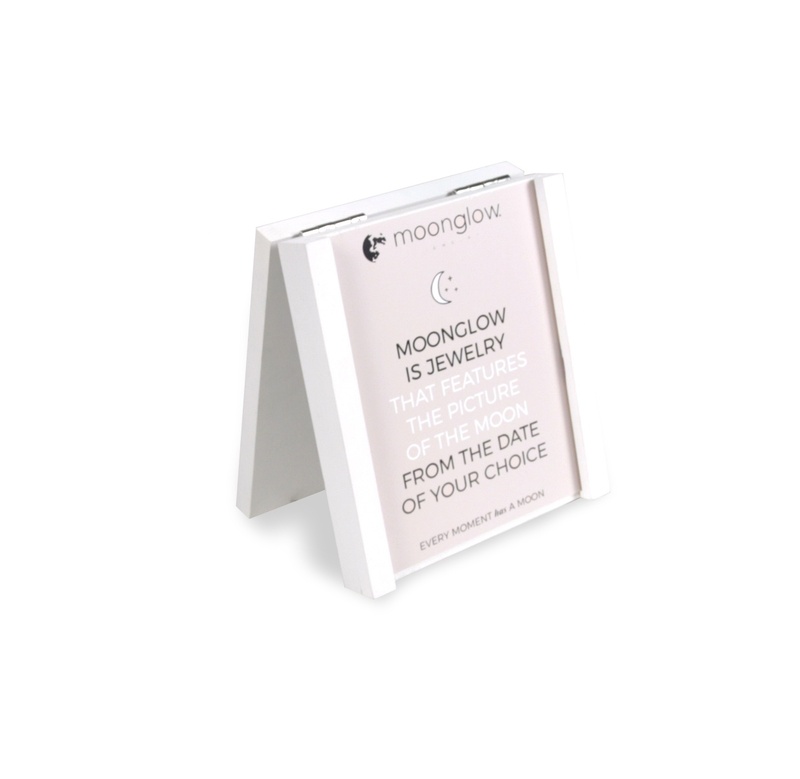 As a part of Moonglow’s family of merchandisers, we also created the shadow box shown below to showcase its jewelry. 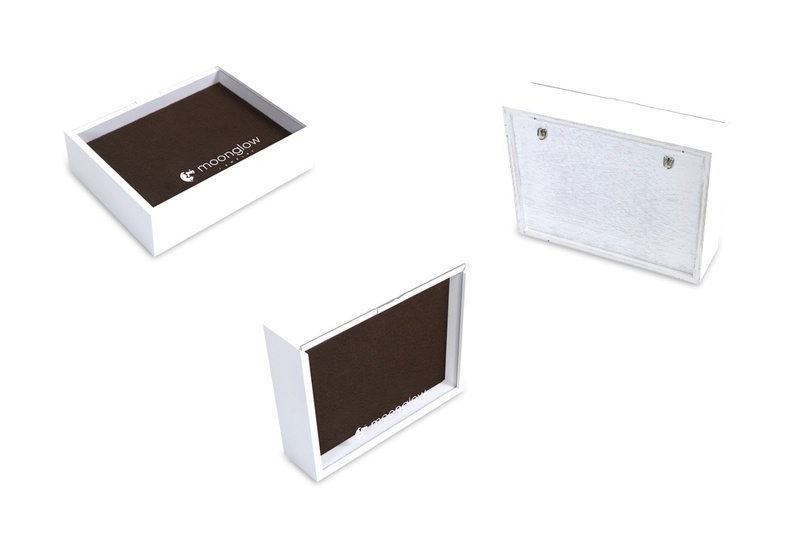 The shadow box was built out of white washed pine and featured a padded velvet back panel, a slide-in clear acrylic front with a screen-printed logo, and rear hanging brackets. 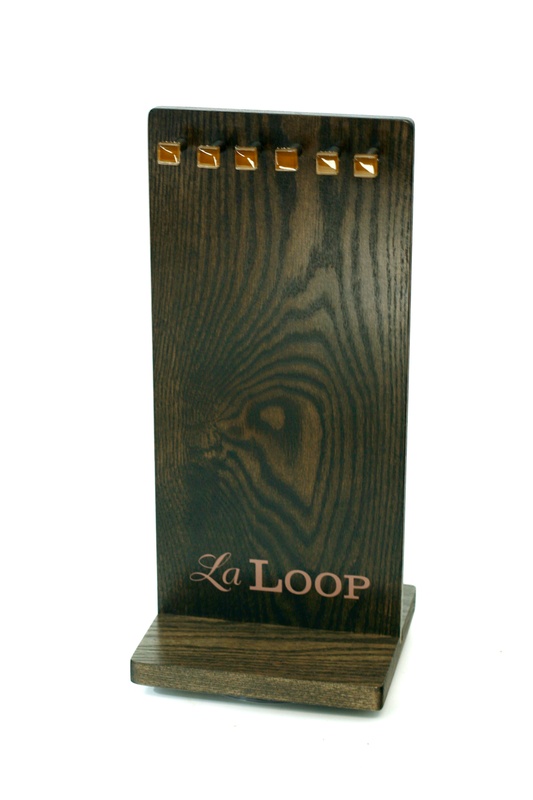 Our second to last example today is a high-end countertop wood spinner we designed and manufactured for La Loop. We used relatively thick stained mahogany wood to create an upscale look and added gold-plated metal hangers and screen-printed graphics. 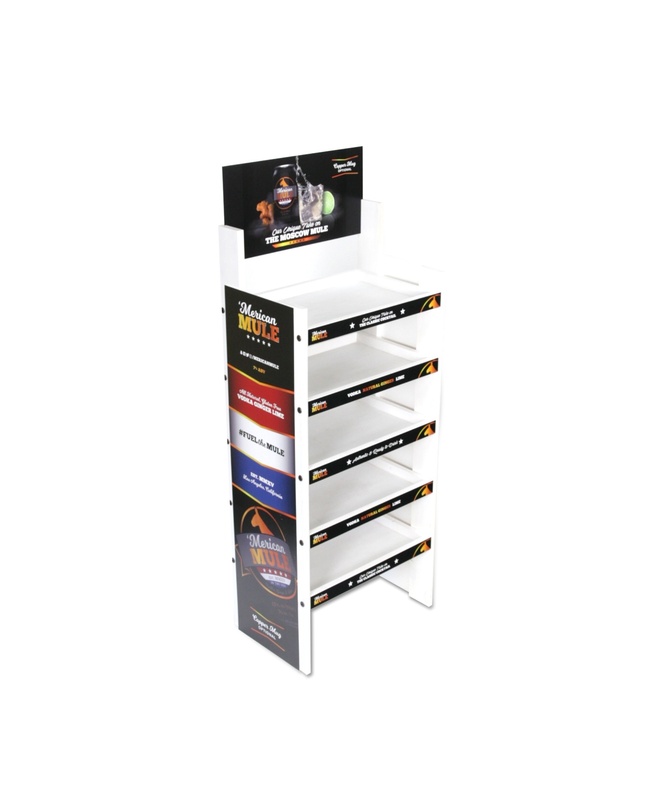 Our last example is a 5-shelf wood floor display we made for Nikwax. This one is similar to some of the other versions we discussed in today’s post, but what is different about this display is that it features a gray washed finish and framed wood header which we used to provide a slightly more finished look. We hope you have enjoyed our 3-part series on POP wood displays and encourage you to strive to achieve merchandising excellence in all of your POP display projects.